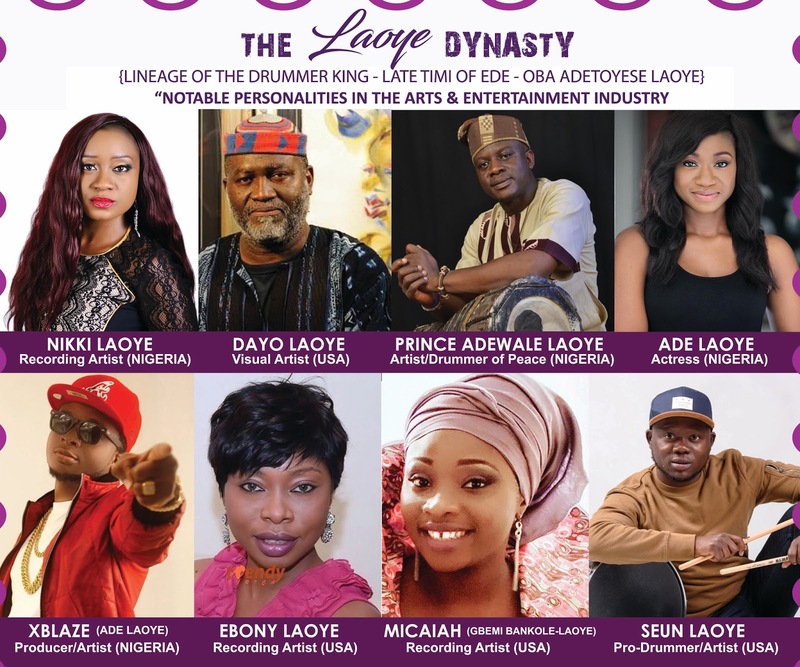 Nigerian recording artist, Nikki Laoye hails from the lineage of the notable patriarch, Late Timi of Ede, Oba Adetoyese Laoye of Osun State, who was popularly nicknamed 'The Drummer King'. He is renowned to have placed the Talking Drum on the global map, honored by the Queen of England at the Buckingham Palace and his works are still widely mentioned and celebrated in Yoruba Arts and Music Culture till date. His legacy is a major part of Yoruba History in Nigeria. The Laoyes are a widely respected royal family in Osun State, known for their inborn artistic and musical gifts. In a social media post made by singer Nikki Laoye, the songstress shared an interesting, detailed piece about the drummer king and achievements as the Laoye family remember and celebrate his legacy 42 years after. 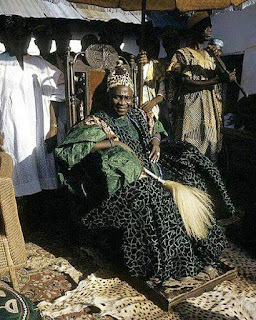 The most prominent Timi in recent history, He ascended the throne on 13th Dec 1946 and he took exit from this world on 16th May,1975. Today, it is doubtful if we can talk of drums in African culture without mentioning the name of the late Timi Laoye. Such is the image and legacy he left on any description and commentary (academic and non-academic) on African drums,especially that of the Yorubas. For Timi Laoye was not just a drummer,he was also an authority to be consulted and studied. With his drum,Timi Laoye became a regular and distinguished guest at many fora including media outfits, academic arena and international environment. One of his legacies to the local media was the Radio Nigerian Signature tune which could be interpreted as "This is Nigerian Broadcasting Service". Other interpretations of this signature includes "Bolubadan Baku Ta ni O"joye (interpretation: who is the next king if Olubadan passes on), among others. His performance at different cultural events in Nigeria quickly made him a toast of many who wanted to listen and learn what the drum is saying and how it said it. In 1962, he was at West Germany and Southern Rhodesia to perform and promote this aspect of Yoruba cultural life and achivement in music and the arts. In 1965, he led his Palace drummers to attend the Commonwealth Festivals of Arts where he delivered a paper on Yoruba music and afterwards, he was received at the Buckingham Palace by Her Majesty, the Queen of England. In the same year, Oba Timi Laoye was at the United States of America on Cultural Exchange visit where he was conferred the honor of the Red Carpet at the Blue Grass Airport at Lexington, Kentucky and was later commissioned as a Kentucky Colonel with all rights and privileges pertaining to it. Above all this,the late Timi Laoye was recognized as a foremost authority in Yoruba Arts and culture. Through his efforts he made many institutions of higher learning to include the study of Yoruba arts and culture as part of their curricular. Part of his contribution in academia also includes his writing "Yoruba Drums"published in the culture and history journal, Odu in 1950. In this, he provided images of the drum families - hand drawn for illustration,and recounts their names individually and as groups. Today, this text as remained one of the most quoted in any academic works dealing with Yoruba drums. Adetoyese Laoye Akanji, Mighty elephant. You,son of Odefunke........Adetoyese Akanji Erin, Orumo gege da o gbun.....ORUN RE O! Write up compiled by Prince Adewale Laoye.